Liz Christy sunning in the garden. 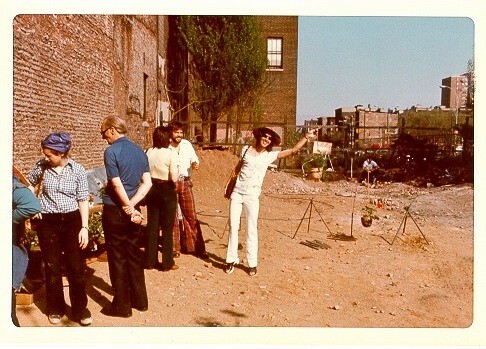 Some forty years ago Liz Christy and her group of rebel gardeners, the Green Guerillas, set out to transform an abandoned lot into something resembling the Dutch bouwerij, the farmland that covered Manhattan in colonial times. 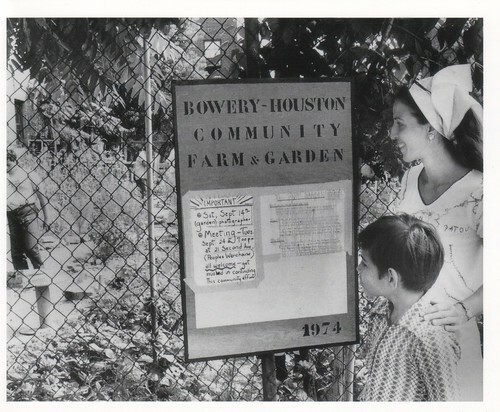 In 1974, New York City’s first community garden opened at the corner of Bowery and Houston. 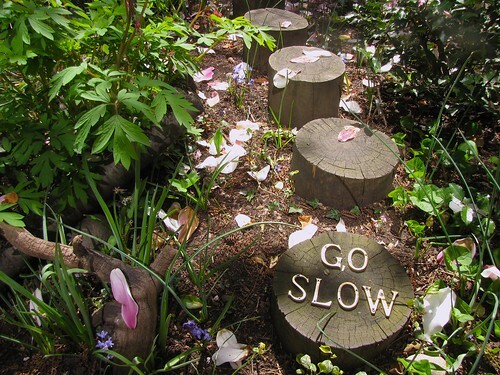 Ms. Christy unpaved the way for dozens of similar gardens throughout the neighborhood before she died of lung cancer in 1985, at the age of 35. 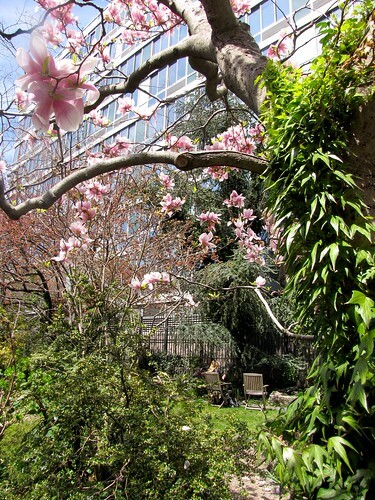 In honor of Earth Day, Donald Loggins, a founder of the Liz Christy Community Garden, looks back on its history as it prepares for summer hours next month. 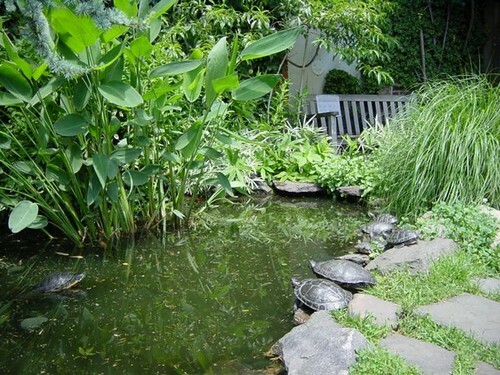 “Liz had landscaping in her blood. Her mother was Patricia Law, who was related to Frederick Law Olmstead [the landscape architect who designed Central Park and Prospect Park]. 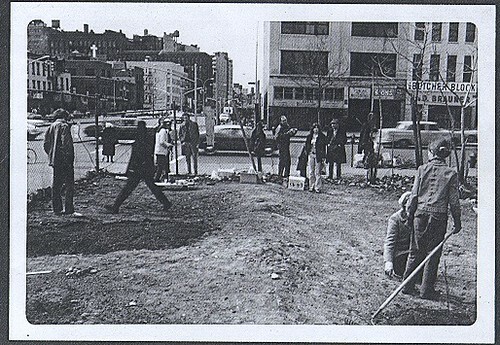 Liz would be up at 6 a.m. and out until 9 p.m., driving around the East Village in her little orange Datsun filled with shovels and soil. 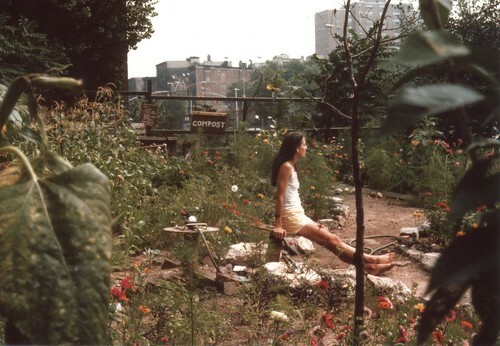 Right away, she founded the Green Guerillas to rally the neighbors to take on these community garden projects. She left quite a legacy to the city. Joanna Marshall The subway stop on Second Avenue never looked so green. 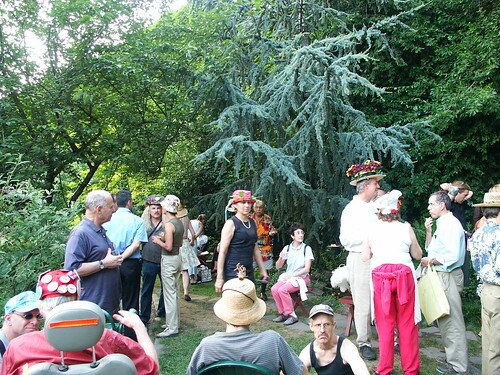 Donald Loggins Hat party, 1985. 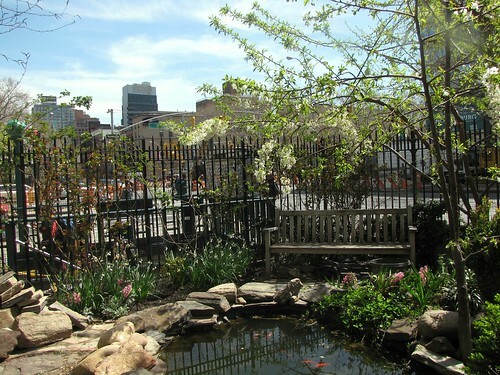 The Liz Christy Community Garden is open year-round on Saturday from noon to 4 p.m. From May to September, it’s also open on Sunday from noon to 4 p.m., and Tuesday and Thursday from 6 p.m. to dusk. Correction, April 23, 2013: This post was revised to correct an error. Gardeners encountered the F platform while digging about thirty years ago, not a few years ago as originally stated. The name of Ms. Christy’s group was also misspelled. 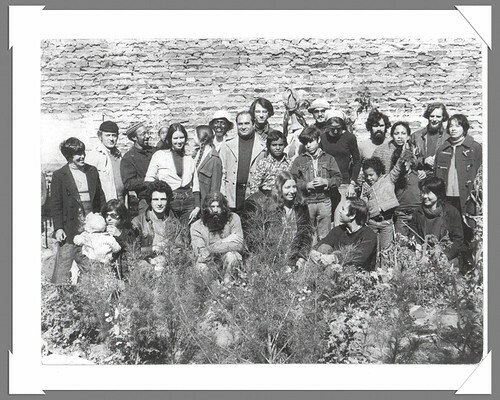 They were the Green Guerillas, not the Green Guerrillas.